6.32% of people buy Slinky: Original Giant Slinky and Slinky: Retro Slinky (Classic Packaging). 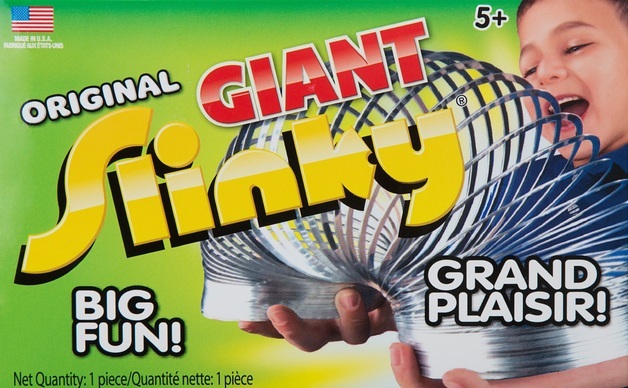 Giant Slinky is the big daddy of all Slinkys. It is 70% larger than the original Slinky for mega size fun! It stretches farther, flips higher, and walks down taller steps. Every Slinky lover will have to have an awesome, American made Giant Slinky! Slinkys are also great for science projects based on wavelength & spring physics! Great for kids and adults 5 and up!